Yes, Apple has apparently decided to discontinue their line of Time Capsules and other AirPort networking devices. When that announcement was made, the company claimed that they’d still sell the items “while supplies last.” Well, either no one’s buying their networking stuff ever, or Apple had approximately 47 dedicated warehouses specifically for Time Capsules and AirPort Extremes, because the stuff is definitely still for sale. Which I think is pretty great! I have always been a big fan of those iconic white boxes, especially for easy wireless backups like the Time Capsule offers. 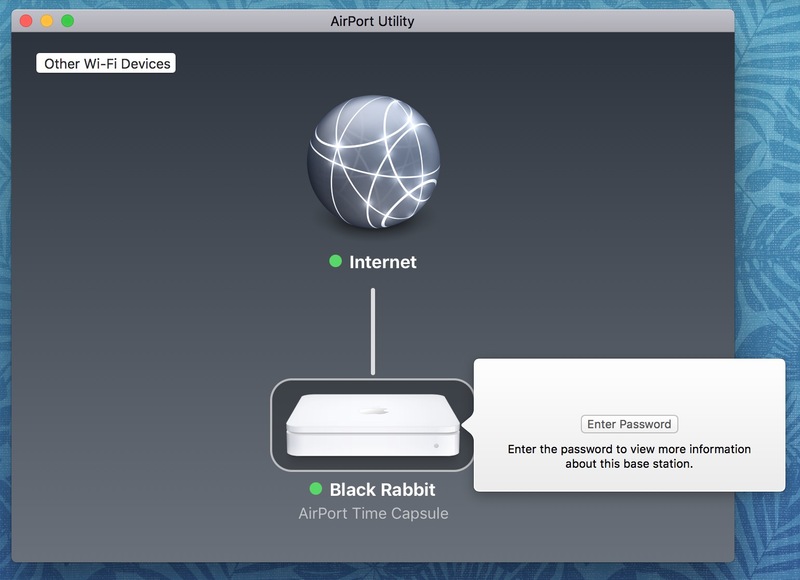 Anyway, if you’re currently using an AirPort Extreme/Express or a Time Capsule, you can actually use AirPort Utility to see all of the passwords associated with a base station, which could save some time over pawing through Keychain Access. 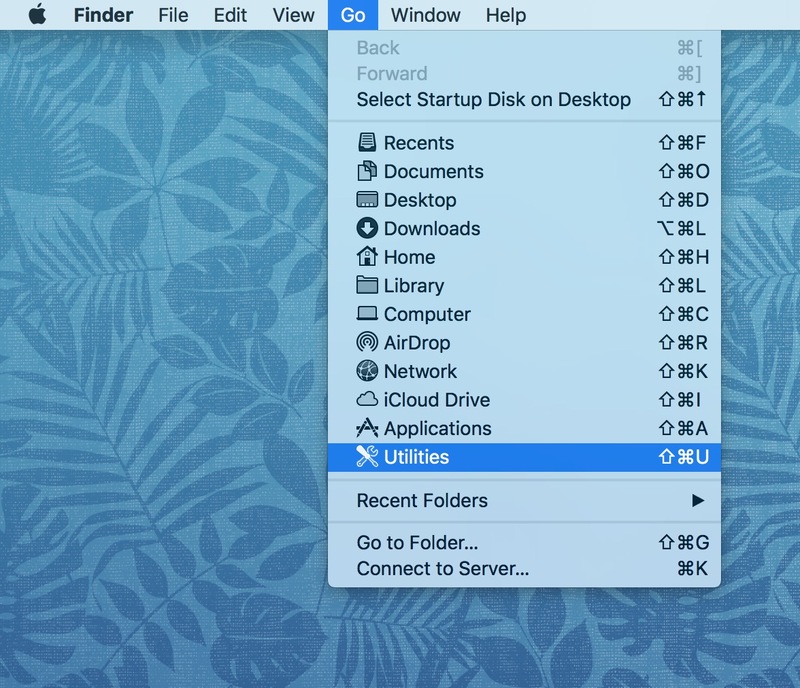 Here’s how it works: Start by opening the AirPort Utility program, which lives within /Applications/Utilities; do that easily by using Finder’s “Go” menu to jump right to the Utilities folder. 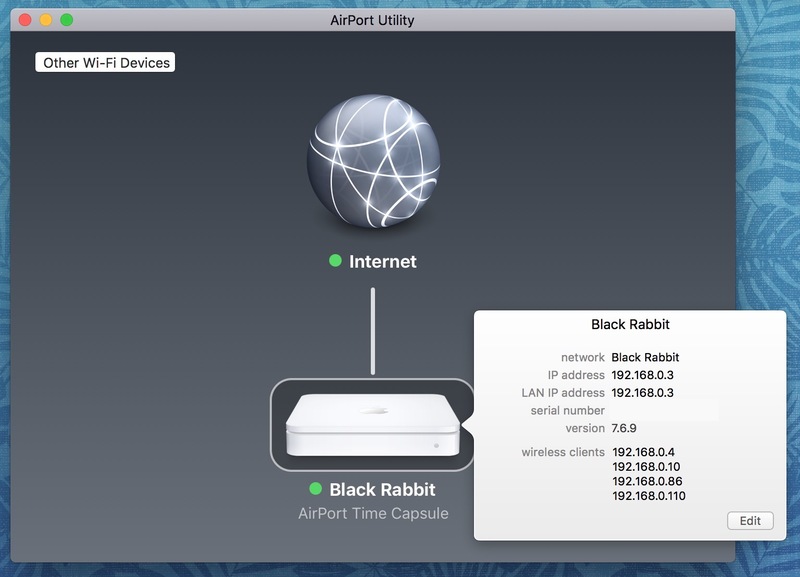 Once you launch AirPort Utility, you’ll see a list of your devices at the bottom. 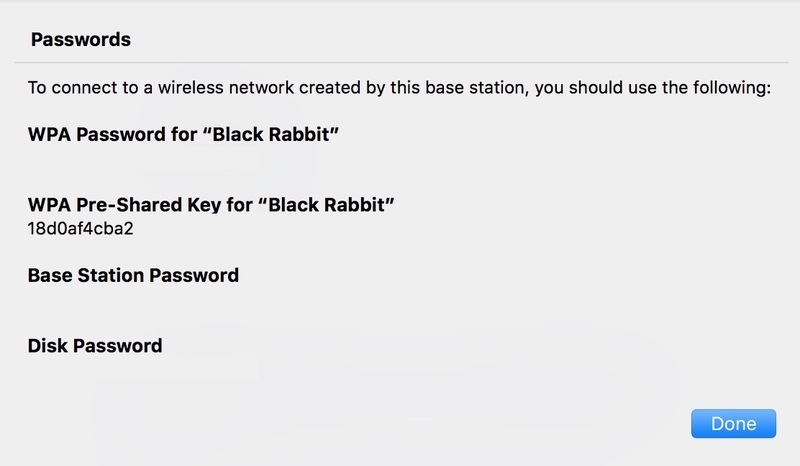 Click on one to select it, and if your Mac already knows the base station password and allows you to access its info, great! Then you’ll either have to know this password to get to all of the OTHER associated passwords, or you will indeed have to look through Keychain Access for that info, as I’ve written about before. The password you need for this will be the so-called base station password, so if you do a search in Keychain Access for that as described in my article linked above, you should be able to find it. I’ve found this to be handy to take a screenshot of for the folks I work with; after all, it gives you a useful picture of all of your network info for the device in question. So if you’re working with someone who has trouble remembering his base station’s password versus his Time Capsule’s disk password, say, then this could help!